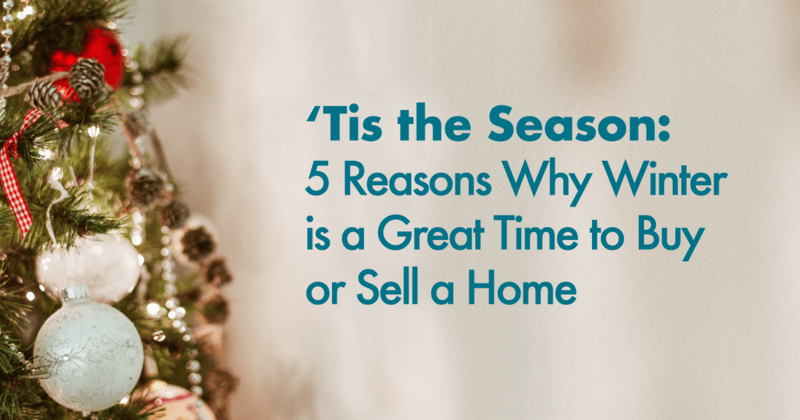 5 Reasons Why Winter is a Great Time to Buy or Sell a home. It’s a common misconception that you shouldn’t try to buy or sell a home during the fall and winter months. This is generally considered the “off season” in real estate. Many sellers mistakenly believe that the cold weather will keep buyers away and that no one is looking over the holidays. Unfortunately, many real estate professionals perpetuate this myth by advising their clients to “wait until the spring” to list their home. If you’re in the market to buy or sell, there’s no need to wait for the spring. Read on to discover the top five reasons that it can pay to buy or sell a home during the off season! Another key benefit to buying and selling in the off season is the increased personal attention you’ll receive. Good curb appeal is crucial when selling your home. According to a recent report by the National Association of Realtors, 44 percent of home buyers drove by a property after viewing it online but did NOT go inside for a walk-through6 That means if your curb appeal is lacking, buyers may never make it through the door. Give us a call today 623-332-7755 to schedule a FREE consultation … and you could be ringing in the New Year in your new home!